What makes a great building designer? That question is not really fair. There are many great building designers throughout Australia with wildly different backgrounds. Some leaders in building design services have all of their training from a university. Others built their skills by living, breathing, and experiencing the construction world. Daryl Woods, a highly respected building designer in Queensland, followed the path of learning on a unique and varied path through the construction industry. Early in his career you would find Daryl working with hammers and saw in hand. As he moved forward in his career he entered the construction supply arena. As he learned more about the industry he became motivated to start turning his ideas and the ideas of others into real construction drawings. Daryl got busy taking additional training, learned how to use CAD programs, and most importantly, learned the important lesson of understanding a client’s needs before you started making drawings. This desire to learn exactly what a client wants and needs permeates the entire company. This has become one of the trademarks of working with Drafting Concepts PTY Ltd. You feel like your dreams are clearly heard and understood. You can experience that attitude by having a free initial consultation with Daryl Wood and getting a free quote for your construction drawings. Daryl through his years in construction and supply heard the complaints of home buyers and builders on how often there were mistakes in plans and how plans often did not match the buyers’ real dreams. He has taken all of that feedback to create an organization which is well-known for their technical excellence in creating great construction drawings but it does not stop there. His commitment is to create a design which fits you and your dreams. One thing which is quickly apparent to anyone who has worked in the industry is how tiny mistakes can create big delays. 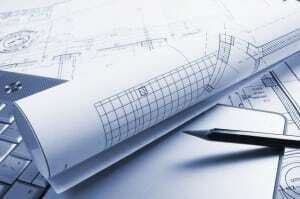 A minor missing detail on a drawing can cause long delays in getting a building permit. When a building designer overlooks an important local building regulation it can cause thousands of dollars in rework. Not communicating ideas clearly in the plans can lead to delays in construction, hurt feelings, and potential delays in final certification. Precision is critical. Here are a few great ways to determine if a building designer creates precise, workable, and beautiful plans. Start off by asking to see his portfolio. 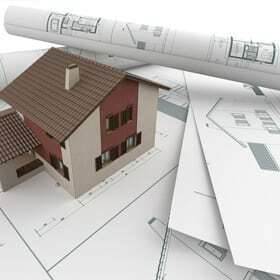 It should include plans, photographs of homes under construction, and properties which have been completed. Ask the company you are considering for building design services to provide you with referrals for two or three home owners and a couple builders they have worked with. The phone calls to those referrals will really open your eyes. 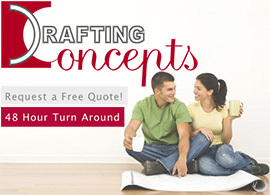 Top designers like Daryl Woods at Drafting Concepts will not blink an eye when you ask for those items. He might point out that much of the information is already on their website, but then will quickly hand you the information you want. He understands you are making a tough decision. This is not a request to have plans drawn up for a dollhouse; this is for the home you intend to live in for years. When you call the referrals make sure you ask about how the construction process went. Quiz them about communication. Find out how well the drafting service stood behind the project throughout construction. The reason companies like Drafting Concepts are so willing to turn over the referrals and information is easy. They know once you check out their reputation in the industry you will be calling them back to get your free quote.